Many people affect our lives and although they will probably never make it to Time Magazine’s “Person of the Year” recognition, if we had our own Time Magazine, we would probably want to note quite a few people who helped influence our lives here at HCC. By way of this article, I elect to start a HCC Times “Person(s) of the Year” series whereby students may submit an article about an influential person on campus who should be recognized. Perhaps, an advisor really helped you, or a particular faculty member, a fellow student, and in my case it was a particular tutor, whom you will now read about below. So, by way of this new series, I wish to commend Mr. Krishnakant Shah. Before you meet him, first, let me give you some background by telling you about my dilemma. For the fall semester, I enrolled in an express class; Accounting 111. Because I had some career experience (doing accounts payable, expense reports and pie charts), I figured this class would be a breeze that I could do with ease. Now, to those readers that may not be familiar with express classes, I have taken several. One was English 121 in the summer and another was Speech 105 which was a weekend special. For the latter, you need to reserve three weekends in a row free to attend this class: Friday night, Saturday morning to afternoon, and Sunday noon to 4:00 p.m. I never thought I would compose and perform so many speeches in such a short time – I almost considered changing my major and becoming a politician; but I highly recommend “express” classes as a fast way to earn credits. Of course, as you probably realize, I am not so sure I would say that about Accounting, especially when I tell you that I flunked my first quiz. Yes, I was in danger of failing as I was not able to keep up with the speed of the class. There were other factors contributing to my failure. I knew I had to do something and withdrawing was not an option. I learned about the availability of a tutoring program at HCC, known as the Learning Assistance Center, on the third floor of RCF. The good news was that I could get a tutor, but the bad news was that it would take about three weeks as there was a shortage of accounting tutors. By that time, this fast class would be almost over so I spoke to an HCC advisor. She arranged for me to transfer to a regular paced class in which I had only missed one class. However, since I did still find accounting challenging, I waited to get rescued by a tutor. Imagine my relief when after three weeks I received a phone call from Mr. Krishnakant Shah (KK for short) and found out that he could tutor me every Sunday at 2:00 p.m. I arrived at the Learning Center early so I could be ready with my questions. When my tutor arrived, he was very friendly and concerned. As I mentioned, there was a shortage of accounting tutors, so while KK tutored me, he had other students so I could work on my accounting problems and he would come back to answer any of my questions. He really made sure I would understand the material and was patient. He did not make me feel stupid and always had a pleasant disposition. I still did flunk a quiz in my new class but my grades improved. KK really made sure that I understood the material. 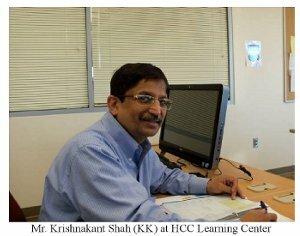 He began tutoring for HCC in February, 2009. He tutors Sunday afternoons and then Monday through Wednesday evenings. He tutors not only accounting, but also math. He lives in Elkridge, Maryland with his wife and two children, and works in Laurel, MD. There he holds a position as a general manager of a hospitality company in which he performs management duties including accounting. This past fall semester he tutored about 20 students. I asked him why he does tutoring and he said he used to help as an instructor in his native country, India, and found it very fulfilling. He really loves teaching and is glad when his students excel. I asked him what his success rate was and although he does not keep a running tab he did say that he sees students he tutored now progress on to more advanced classes. Plus, thanks to KK, I obtained a B in Accounting 111 which is a far cry from an F.
I invite our readers to share their stories about specific people who helped them, including KK. Submit your articles for publication so that these individuals may be recognized, and I really look forward to receiving your submissions. Columbia-Based Mukesh Majmudar Receives Nomination for the 'The Light of India Awards 2011' organized and presented by the Times Group of India to recognize the Global NRIs who have excelled in their respective domains. 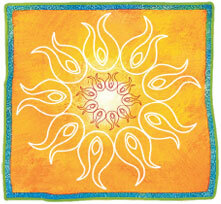 The Times Group of India recently announced a brand new initiative to recognize the Global Indian community. Over the years, the Indian community abroad has contributed significantly not only to their country of residence but also to the Indian economy back home. the Light of India Awards objective is to recognize & reward the NRIs who have excelled in their respective domains. The awards are a unique combination where the winners would be chosen through two distinguished manner – (1) A Jury of eminent names & (2) online by the NRIs themselves. Covering 6 categories ranging from corporate excellence, business leadership to arts & entertainment, the Jury comprising of names like Javed Akhtar, Priya Paul, Shabana Azmi, Sulaja Firodia Motwani, and Madhu Trehan who would choose a winner from each category. Simultaneously, NRIs and Indians across the world would be able to vote online on who they choose as their 'Light of India'. The entire process would be validated by KPMG. Star Global Ventures, formerly Star Hotels, is proud to announce the success of a Business Roundtable discussion with Lt. Governor Anthony Brown. 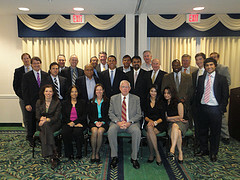 The event, which took place on April 21, 2010 at SGV’s property in Columbia, MD, Hilton Garden Inn, and was attended by many prominent members of the community, including County Executive Ken Ulman, and representatives from the Maryland Government, Economic Development Authority, Howard Community College, Maryland Restaurant Association, and many more. The group spent two hours enaging in discussion with Lt. Governor Brown on a variety of topics including the state of the Economy and Business Development, Healthcare, Education, Politics, Construction and it's impact on the state of Maryland and Howard County. Star Global Ventures broke ground on Monday, December 14th for The Enclave at 8700, an upscale mixed-use student housing complex. When complete, the project will provide housing for 669 undergraduate students at the University of Maryland, College Park. The Maryland Entrepreneur Awards recognizes the most influential and inspirational business, technology and educational leaders, with a focus on long-term success and innovative spirit. This award was founded by The Maryland Entrepreneur Quarterly, a news resource for entrepreneurs in Maryland, and Star Global Ventures, a real estate development firm founded by a successful entrepreneur. The purpose of these awards is a genuine desire on the part of its sponsors to recognize individuals whose entrepreneurial spirit makes them exceptional business leaders and community-oriented advocates. Please visit the official home of the unique and prestigious Maryland Entrepreneur Awards (MEA) for the online application and additional details. StarView Plaza Ground Breaking Ceremony Pictures.